LIVEFIST: L&T Developing Bond-Style Mini-Sub For Navy? L&T Developing Bond-Style Mini-Sub For Navy? 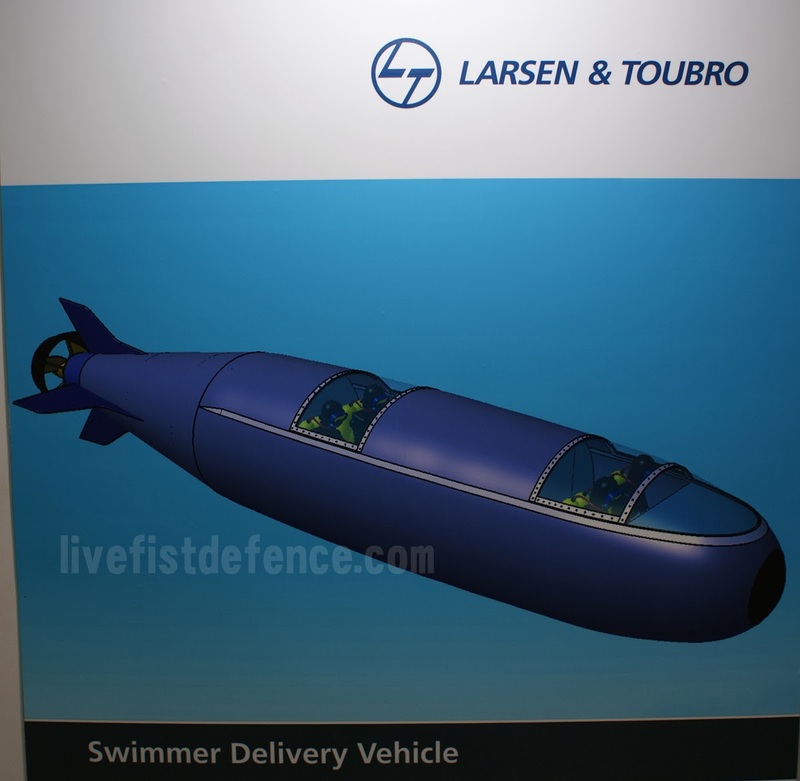 Indian private firm Larsen & Toubro indicates it is designing and building a swimmer delivery vehicle (SDV). This poster was up at the L&T stand at DefExpo. Under development by L&T Heavy Engineering, this image depicts it as a dry type delivery vehicle for up to four marine commandos. Love how it reminds me of this. Executives I spoke to at the stand said it was being developed and built in-house and would be offered to the Indian Navy once it was complete (like the Adamya AUV). Separately, it is known that in 2012, the Indian MoD approved a navy requirement of four special operational vessels (SOVs) for the MARCOS, apparently to be built at the Hindustan Shipyard Ltd in Visakhapatnam. It is not clear if L&T is involved with that classified programme.